. 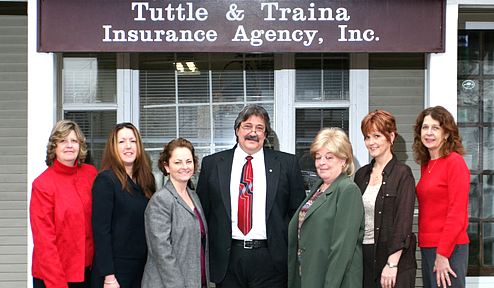 :Tuttle and Traina Insurance Agency, Inc:. Construction Services Data Sheet - Simple form listing contractor's basic information and contacts . Contractor's Complete Questionnaire/Application for Bond Program - Required questionnaire for con-tractor's seeking to initiate a bond program. This form list all the detailed information a surety company will re -view and use to begin its normal under-writing. Personal Financial Statement Form - Standard personal financial form required from each principal of the company. Personal Financial Statement Certification Form - used with the personal financial statement to attest to the accuracy and complete disclosure of the personal financial statement. Work on Hand Schedule - forms lists all current work on hand as a specified date. Available in Excel Work-on-Hand Spreadsheet Form, too. Bid Bond Request Sheet - Tuttle & Traina generic Bid Bond Request Sheet. Final Bond Request Sheet - Tuttle & Traina generic Final Bond Request Sheet. Job Cost Work Sheet - For some bids your surety may require a job cost breakdown before approving a bid bond or to support your final bond request when there is a bid spread. Bond Close-Out Forms - Not frequently required by a surety, but use of these forms is "good practice" to have all subcontractors and suppliers sign off on a contract. DCAM Update Application - August, 2000 - A COMPLETED AND SIGNED UPDATE STATEMENT MUST BE SUBMITTED WITH EVERY BID FOR A CONTRACT SUBJECT TO M.G.L. C.149, §44A. ANY BID SUBMITTED WITHOUT AN APPROPRIATE UPDATE STATEMENT IS INVALID AND MUST BE REJECTED. WORK-IN-PROGRESS SCHEDULE - excel spread sheet format with completed contract schedule. Massachusetts Driver's License Information - who needs a license; photo-image licenses; and more. The carbon monoxide alarm requirements shall include, but not be limited to, a requirement that the alarm be either an approved battery-powered alarm or an approved electrical wiring alarm as defined by the board. The board of fire prevention shall promulgate regulations to effectuate this new law. Every dwelling, building or structure occupied for residential purposes shall, upon sale or transfer, be inspected by the head of the fire department for compliance with the requirements of the law. A fee may be charged for the inspection ranging anywhere from $25 to $500 depending upon the number of units in the building. MA Regulation 527 CMR 31.00 (Nicole’s Law) becomes effective on 3/31/06. Where hardwire systems are required, the deadline is 1/1/07. The law is applicable to the owners of apartments, condominiums, townhouses, group residences, multi-family and single family homes that have fossil-fuel burning equipment or enclosed parking areas. Buildings classified by the State Building Code as R-2 thru R-5 are affected. A rate level decrease of 3.0% was approved effective 12:01 A.M., September 1, 2005, applicable to new and renewal policies. - Click on the following link for the September 1, 2005 rates in PDF format. - Click on the following link for the Excel Version of the September 1, 2005 rates. 7.01: Purpose, Scope, and Exceptions. (1) The purpose of 520 CMR 7.00 is to establish reasonable requirements to protect the safety of the citizens of the Commonwealth from the hazards inherent in excavations and to provide the penalties for individuals who violate any provision of this regulation. Conspicuity Requirements for Commercial Motor Vehicle - There are three separate groups of commercial motor vehicles subject to the FMCSA’s requirements and the date of manufacture for the vehicle must be known to determine the applicability of the rules to the vehicle. 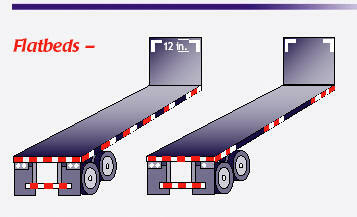 The rules cover trailers manufactured on or after December 1, 1993, the retrofitting of trailers built before that date, and truck tractors built on or after July 1, 1997. Workers' Compensation Rating & Inspection Board - 2001 Rate Filing - On May 31, 2001, the Commissioner approved a 1.0% increase in average rates for all policies effective on an after July 1, 2001, which was stipulated to by both parties. STATE OFFICE OF MINORITY AND WOMEN BUSINESS ASSIS-TANCE - 425 CMR 2.00 shall govern the process of certification of minority, woman and minority/woman business enterprises, non-profit organizations and joint ventures by the Massachusetts State Office of Minority and Women Business Assistance (SOMWBA), a division of the Office of Minority and Women Business Development and Employment (OMWBDE) within the Department of Economic Development, in all matters arising out of M.G.L. c. 23A, §§ 39 through 44, M.G.L. c. 7, § 40N, Executive Order No. 237, and Executive Order No. 390 of the Governor of Massachusetts. 425 CMR 2.00 shall be construed to secure the just, speedy and fair determination of every matter and proceeding within its scope. 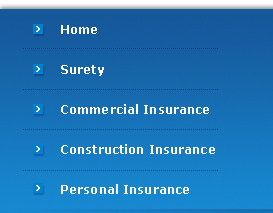 Insurance Terms & Definitions: Look up Insurance terms and Definitions. Financial responsibility means having insurance policies or surety bonds sufficient to satisfy the minimum public liability requirements. Public liability means liability for bodily injury, property damage, and environmental restoration. Environmental restoration means restitution for the loss, damage, or destruction of natural resources arising out of an accidental discharge of toxic or other environmentally harmful materials or liquids. Requirements for Financial Responsibility Motor carriers of property operating commercial motor vehicles in interstate, foreign, or intrastate commerce, and for-hire carriers of passengers operating in interstate or foreign commerce must have at least the minimum amount of insurance required by law. 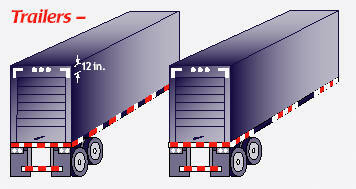 The motor carrier must have proof of the minimum level of insurance at the company's principal place of business. A MCS-90 Form should be carried on board the cabin. Endorsements for Motor Carriers policies of insurance for public liability under Sections 29 and 30 of the Motor Carrier Act of 1980 (Form MCS-90) issued by an insurer. All contractors hiring sub-contractors should read these contractual risk management recommendations. Contractor Information Sheet - one page infor-mation sheet listing basic corporate information. Liability & Workers' Compensation Payroll Work Sheet -Form listing categories of work per-formed, payroll and sales estimates associated with those classes of work, subcontracted classes of work, and estimated costs associated with those classes of subcontracted work. Equipment Insurance Schedule - Form to list your equipment for an inland marine floater. Property Insurance Schedule - schedule listing your business property: real and personal. 2005 HWIC's Workers Compensation "Best Practices" Brochure - Seven steps to minimize your workers compensation costs. Certification Letter for Unincorporated Subs W/O Employees - Do you use unicorporated subs? Do they have Workers' Compensation Coverage. If not be sure to use this form and attach it to a Certificate of Insurance for those subcontractors - see Contractor Risk Management suggestions listed above. Application for Mass Construction Classification Premium Discount Program - Workers' Compensation - Use to apply for the workers' compensation classification discounts for the third quarter each year. Workers' Compensation Poster - Required to be posted by all employers. Workers' Compensation Rates - Effective July 01, 2001. Workers' Compensation Construction Classification Discount (Special) Program - The Massachusetts Construction Classification Premium Adjustment Program has been proposed for employers engaged in construction operations and is applicable to policies eligible for experience rating.